Everyone goes on about how dangerous travelling is, but in November 2016, I’d been in Thailand for a month as part of my 8-month global adventure and I was feeling pretty good about things. I’d encountered no dangers and apart from getting lost a few times, I never encountered any crazy people. But there’s a first time for everything. I’d met an awesome woman from Germany in the hostel I was staying at and we decided to do what girls love to do….SHOPPING! 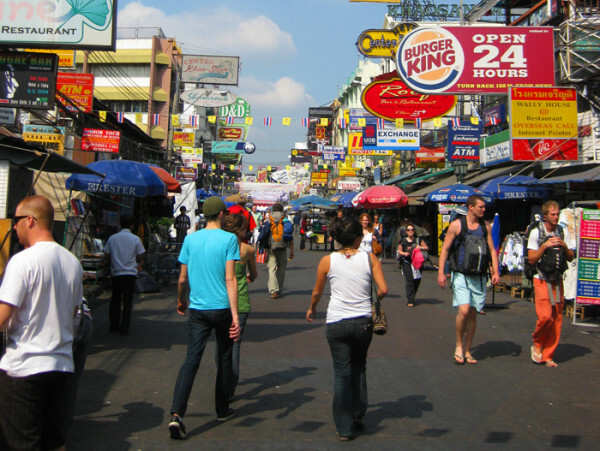 Our plan was to explore Bangkok, the Sin City of Thailand, to look for souvenirs. 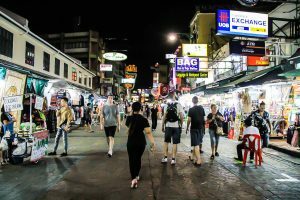 We also got involved in a random street party and started wandering along Khao San Road – which is the backpacker central of the city. 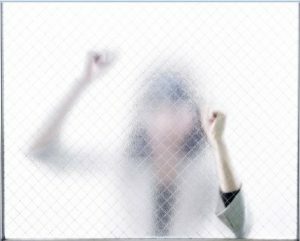 It was there that I was stalked by one of the most terrifying women in Bangkok. Determined to continue our mammoth shopping spree, I’d decided to go suitcase window-shopping. My suitcase was falling apart at the seams, so I’d stopped in the market with a friend to look at new ones. It was there that I was ambushed by the overly keen stall owner who tried to sell me one of the most expensive suitcases. After she spent around 30 minutes of trying to “bargain” with me, I told her that I’d think about it and promptly left. 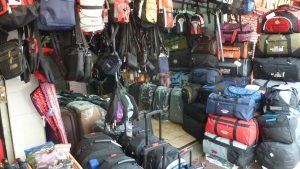 I never thought a suitcase would lead to a high-speed chase across Bangkok! She then followed us to every market and shop that we visited, yelling at me to buy the damn suitcase. Eventually, my friend and I made a run for it and took refuge in a local restaurant where we ordered some food and laughed off the bizarre encounter. I gently suggested that she may be missing out on new customers since she was no longer at her stall. Her solution was to tell me to hurry up and eat so I could finish up and buy the suitcase. My friend asked her why she was watching us. She responded by eyeballing my friend. As soon as we paid, my friend and I legged it out of the restaurant and zigzagged our way through a variety of indoor market alleys as the woman shouted “LIAR! !” behind us and remained in hot pursuit. She even (albeit unsuccessfully) tried to recruit other stall holders to chase us! 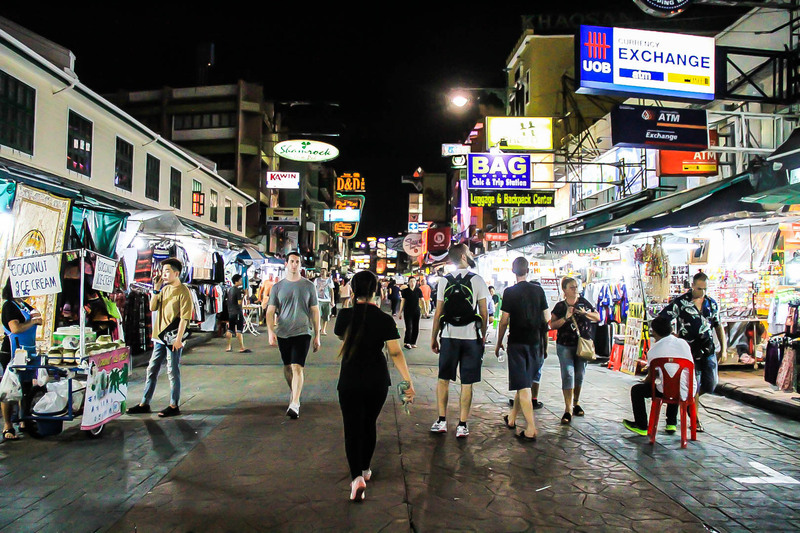 Khao San Road has a thriving nightlife..and its fair share of crazy stalls! A few hours later, after getting lost, we, unfortunately, had to wander back past the stall to get back to our hostel. Yes, the crazy woman was there. Only this time she smiled at us and waved and yelled at us to visit her store. 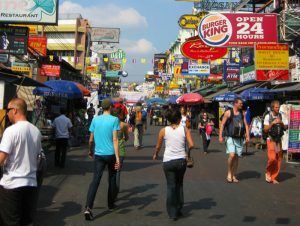 The next day, I saw her a few times in Khao San Road. Unfortunately, she saw me too and used various techniques, including name-calling, to try to lure me back to her stall. Ignoring her, I wondered to a nearby fruit stall. Bizarrely, the fruit stall owner encouraged me to go back to this woman’s stall! Eh?! Come to think of it, he was probably one of the people that the crazy lady tried to recruit from the night before. Either that, or he must have been a close associate. Anyhoo, I decided to bring my Bangkok shopping trips to an abrupt end. I’d already planned to travel to the north of Thailand and after those bizarre encounters, I couldn’t wait to head for the sunnier shores of Chiang Mai.